Listen to the U.K. rapper’s new project in full. 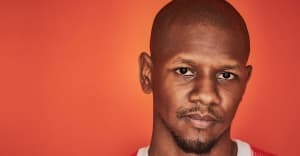 Giggs has shared new mixtape Wamp 2 Dem, which is streaming below. The 13-track project sees the London rapper team up with a host of U.S. and U.K. collaborators, including 2 Chainz, Young Thug, Donae'O, Dave, and D Double E, and Jamaica's Popcaan. It's Gigg's first full-length release since 2016 album The Landlord. Earlier this year he appeared on Drake's More Life.